Working in partnership with Dr. Del Harnish, Dr. Timothy Guetterma, and the University of Nebraska Lincoln (UNL), MAC Georgia completed the standardization of the Test of Non-Verbal Intelligence (TONI-4) in Georgia during 2017. 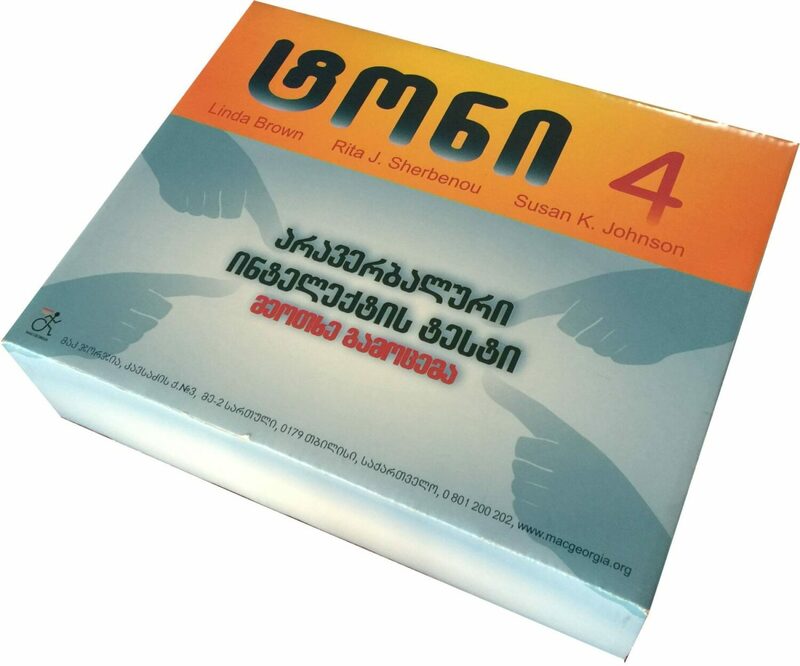 In practical, real-life terms, it means that this unique instrument, previously available here only in an English language Americanized version, has been tested and normed by MAC Georgia specifically for the Georgian people and culture. as well as non-native Georgian speakers. The Test of Non-Verbal Intelligence (TONI-4) is a unique test that allows specialists to measure intelligence, aptitude, abstract reasoning, and problem-solving, yet rEquires no reading, writing, speaking, or listening on the examinee’s part. 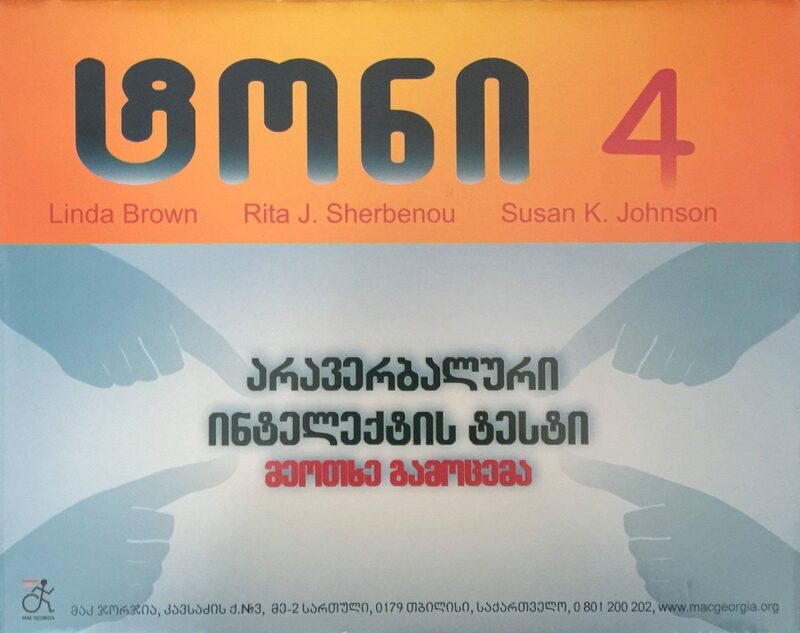 AVAILABLE IN GEORGIAN FOR THE FIRST TIME. it continues MAC Georgia's investment in their vision of the world. MAC Georgia’s world is one in which every child in Georgia has access to an education, regardless of his/her special needs. The TONI-4 makes this vision more achievable. Receive a certificate of completion from a MAC Georgia-approved TONI-4 administration program. Individuals who fail to meet the above criteria shall not be eligible to purchase the test and shall not be permitted to administer the test without the close supervision of a certified administrator.